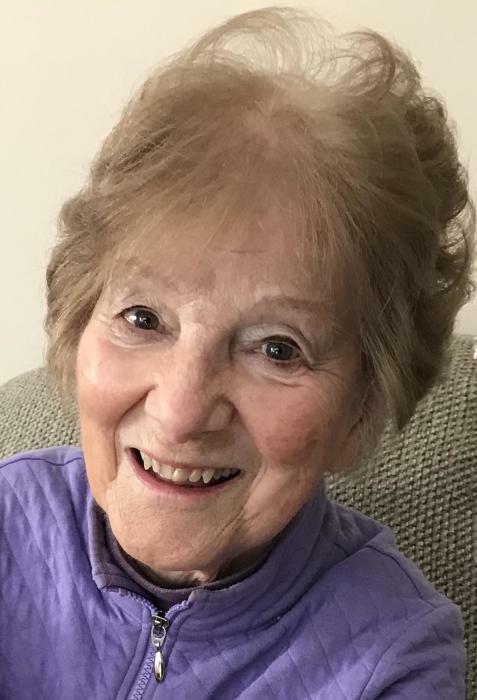 Ruth "Minnie" Esther (Coiteux) Mensing, 89, of Bolton, beloved wife of the late Arthur (Art) Mensing, passed away peacefully on Sunday, (January 20, 2019) surrounded by the love of friends and family. She was born December 2, 1929, in Hartford and was the daughter of the late Alfred A. and Hattie H. (Gates) Coiteux. She moved to Bolton with Art in 1980. She worked for over 20 years at various divisions of United Technologies Corporation as an administrative assistant. After retiring from UTC, she obtained her bachelor’s degree in Social Work from Manchester Community College, and then worked at the Visiting Nurse Association in Vernon for a number of years. Ruth and Art were politically active in Bolton. They were members of the Bolton Married Couples Group and also contributed with volunteer work. Through Big Brothers Big Sisters, they mentored a young lady throughout her teens. They both loved to ski and travel to places like Panama or Germany, but especially cherished their trip to Ireland. They supported the theater as members of the Bushnell, Goodspeed, and Cheney Hall. They enjoyed time on Bolton Lake sailing, canoeing, and throwing many cookouts with friends. She is survived by her cousins, Janice and Mandy McMahon of Newport, NH; Robert & Kathy Call of Spokane, WA; niece, Diane Dow and her husband Jeffery Williams of Agawam, MA; nephew, Robert Coiteux II, his wife Tammy and their children Grace and Robert III of San Antonio, TX; great niece, Kelli Hickey, her husband Matthew and their son Jameson (her delight) of Coventry, CT; great nephew, Patrick O’Brien, his wife Kathryn and their daughter Lyla of Belchertown, MA; her companion “rescue" dog, Harry Potter; her helpful, devoted neighbors, John Belli and his wife Diane; many other extended family members and a number of close friends who were more like family including Nina Romanenko and her husband Mike Harrison, Kent Aldrich and Marcy Nadolny and her husband Joe. In addition to her husband of 28 years, Ruth was predeceased by her brother Robert, sister Evelyn, as well as many dear friends. A time of visitation for Ruth will be held on Saturday, January 26, 2019, from 9:30-10:30 a.m. at Holmes-Watkins Funeral Home, 400 Main St, Manchester, followed by a Mass of Christian Burial to begin at 11 a.m. at St. Maurice Church, 32 Hebron Rd, Bolton. Burial will follow in Bolton Center Cemetery. Memorial donations in Ruth’s name may be made to the charity of the donor’s choice. To leave an online message of condolence for her family, please visit www.holmeswatkins.com.